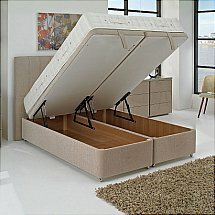 This Divan Set filled with 10 Reactive Pocket Springs, which help to retain the height and longevity of the mattress. The Reactive Springs individually sense your shape and contour to this to offer total spinal and body support. I would like more information about Orthocare10 Divan by Hypnos.